Top quality medical care and allied health for you. 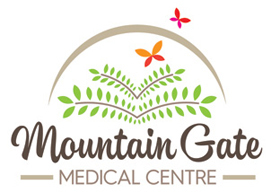 When we created Mountain Gate Medical Centre, we knew we wanted to create a premium health service for this beautiful area at the foot of the Dandenong Ranges. Knowing that many young families loved the lifestyle of this semi-rural retreat, our goal was to provide the best paediatric and family health centred services possible. That’s why we built our centre from scratch, and added Allied Health professionals to our line-up of providers. We want to make our clinic the ONE place Ferntree Gully residents go, when they feel sick, sore or worried about themselves or their loved ones. Our practice is mixed billing. All patients 15 and under, pensioners and Health Care Card holders are eligible for BULK BILLING. Appointments for Recall, Results, Medical Certificate, repeat script, we may bulk bill the patient if the appointment is less than 5 minutes. In addition to our general practice we’ve extended our service to include cosmetic procedures. Dr Desmond Yeow is experienced in the use of cosmetic injectables and would be pleased to give you some more information at an initial appointment.